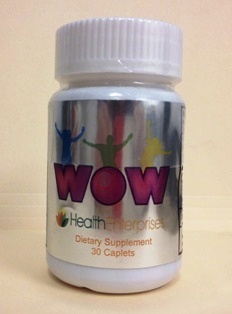 The FDA says that taking an over the counter supplement can be a health risk. The following warning comes from the Food and Drug Administration (FDA) about a product distributed and sold under the name ‘WOW’, which is really just another product in disguise, one that can cause serious harm. Earlier in 2012, FDA twice warned the public about taking Reumofan Plus—marketed as a “natural” dietary supplement for the treatment of many conditions. It contains undeclared active ingredients found in prescription drugs that should only be used under the supervision of a health care professional. FDA is concerned that other distributors will also put different labels on Reumofan Plus and sell it under other names. Report any health problems related to these products to FDA’s MedWatch Safety Information and Adverse Event Reporting Program. Because one of the hidden ingredients—dexamethasone—is a corticosteroid, people taking these supplements must work with their health care professional to safely stop taking the drug. A person who abruptly stops taking corticosteroids after long-term use or after taking high doses runs the risk of suffering from a withdrawal syndrome and life-threatening adrenal suppression. The withdrawal syndrome may include nausea, low blood pressure, low blood sugar levels, fever, muscle and joint pain, dizziness and fainting. Adrenal suppression of cortisol production can be life-threatening because, among its many important roles in the body, cortisol is needed to maintain normal blood pressure and supply glucose to vital tissues, such as the brain and red blood cells, in response to stressors such as trauma, surgery, and infection. FDA notes that there may be other harmful hidden ingredients in these products. Ingredients may vary from lot to lot, and products found to have hidden drug ingredients are generally not manufactured in a way that would ensure their quality and safety. Source: This article appears on FDA’s Consumer Updates page, which features the latest on all FDA-regulated products.